NuGet Gallery | Packages matching Tags:"OutputCache"
26 packages returned for Tags:"OutputCache"
MvcDonutCaching provides extensible donut output caching for ASP.NET MVC 3 and above. Custom output cache provider for redis cache. DynaCache is a small C# library that allows you to automatically cache the output from standard .NET functions. Although it is possible to use it without one, DynaCache works best when used in conjunction with a dependency injection (DI) framework, such as StructureMap, Ninject, etc. 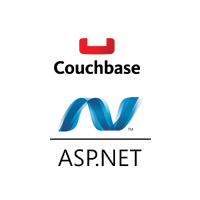 A library of custom asp.net output cache providers. Initial package supports Redis as cache storage. MVC OutputCache "server side page caching"
Output cache used for caching ASP.NET MVC views without expiration but provides mechanism to manually remove a cached item from cache.